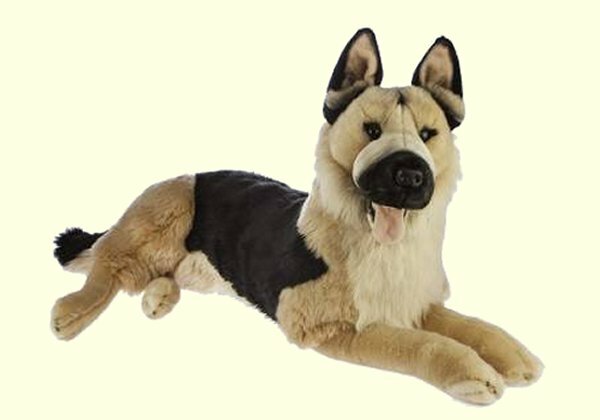 A LARGE soft lifelike stuffed plush German Shepherd created in the Bocchetta family tradition. Due to the size and weight of the Bocchetta Caesar German Shepherd, shipping is limited to UPS Ground Service within the 48 Contiguous U.S. States only. No Express or USPS shipments.